Third meeting of the board of directors of the War Refugee Board. 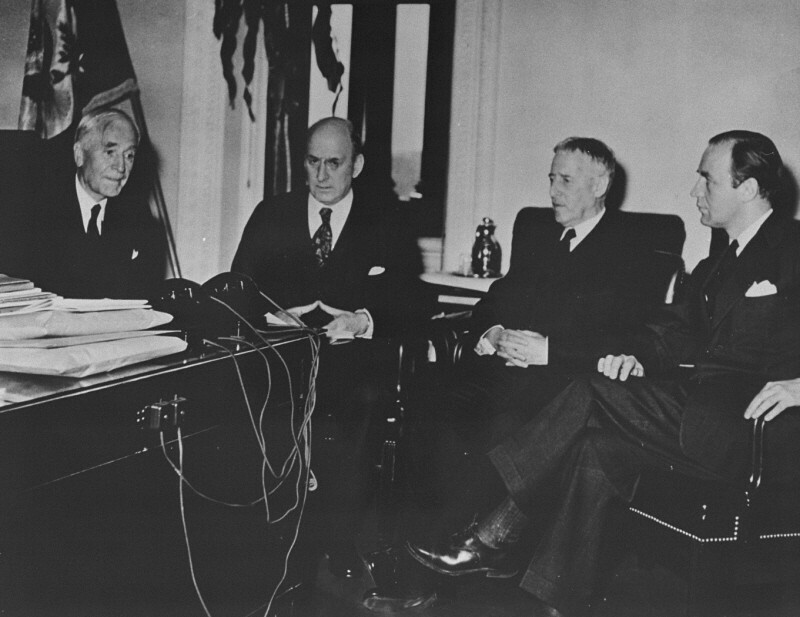 From the left are Secretary of State Cordell Hull, Treasury Secretary Henry Morgenthau, Secretary of War Henry Stimson, and Executive Director John Pehle. Washington, DC, United States, March 21, 1944.